It doesn’t take much time to get ready with this easy-care, wrinkle-resistant woven shirt! This classic, easy-care shirt is tailored to look great with a wrinkle-resistant finish and button-down collar that prevents curling and rolling. Features an upper patch pocket with hidden utility loops that help secure pocket contents. Double pleats at upper back offer a looser, more comfortable fit. 55/45 cotton/polyester cross dyed oxford with wrinkle-resistant finish. 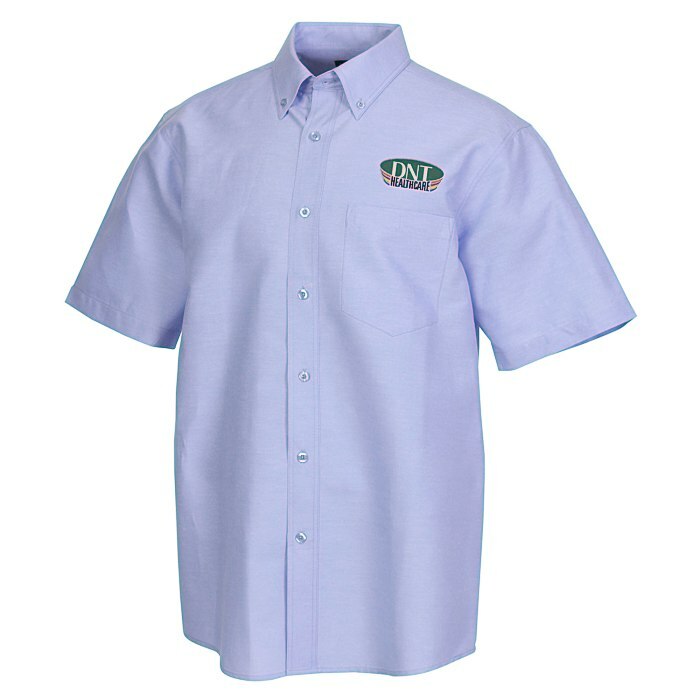 For the coordinating ladies' short-sleeve shirt, see item #116997-L-SS. Your price includes embroidery on the left chest, above pocket.